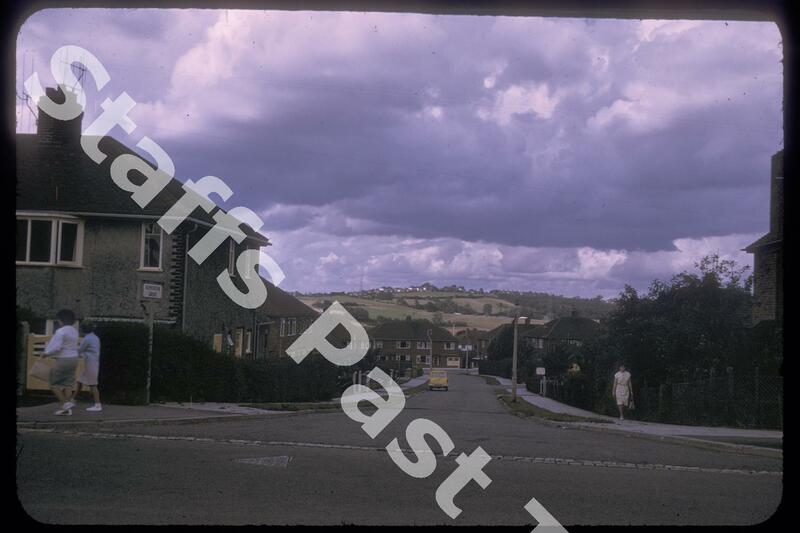 Description:Looking north west along Ashendene Grove from its junction with Bankhouse Road. The valley of the River Trent and the route of the A500 lie hidden between Ashendene Grove and the higher ground of Northwood in the distance. 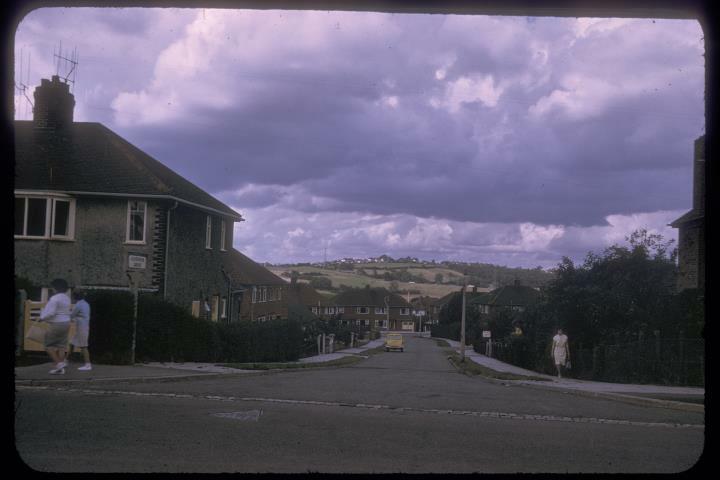 On the skyline are the houses along Northwood Lane.